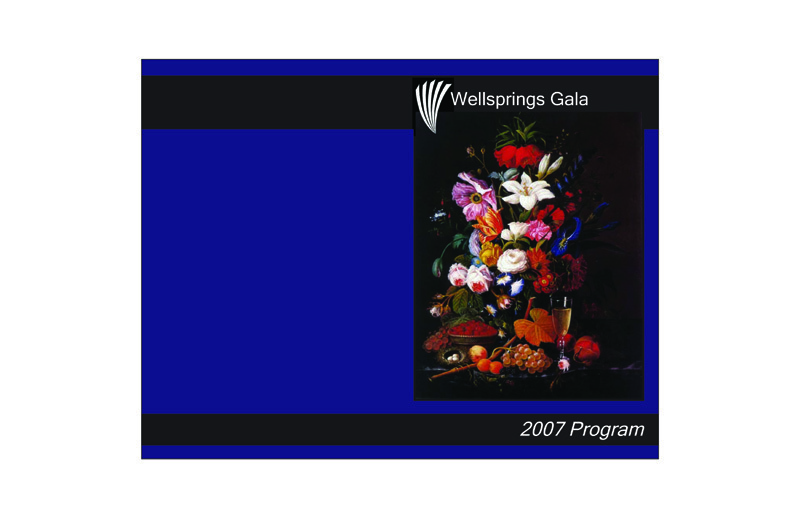 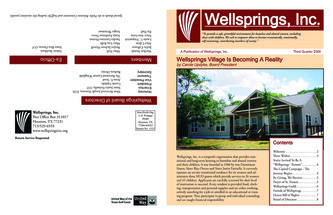 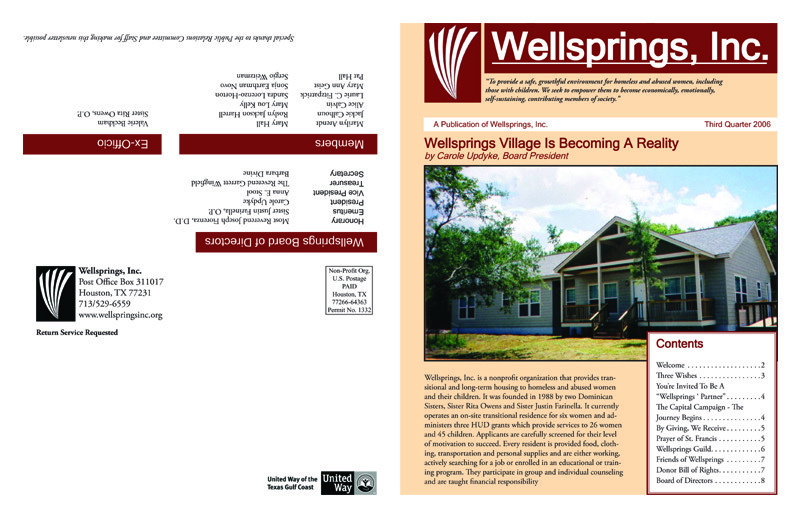 Wellsprings Village Inc. helps homeless and abused women in the Houston area. 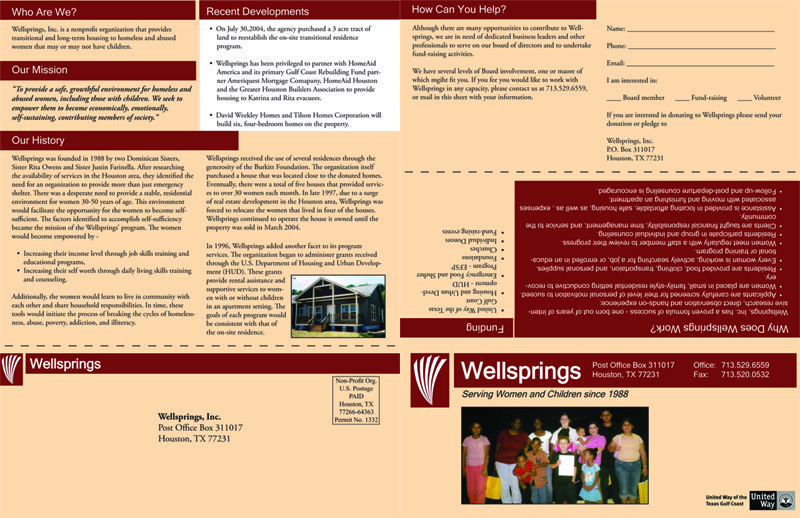 They provide a program with housing and teaching life skills to help break the cycle of poverty and empower the women to take charge of their lives. 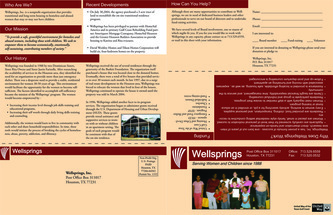 I volunteered my services to redesign their marketing materials.